Remember a while back when I told you about my bestie Ed Roth and his new product line coming out this year? 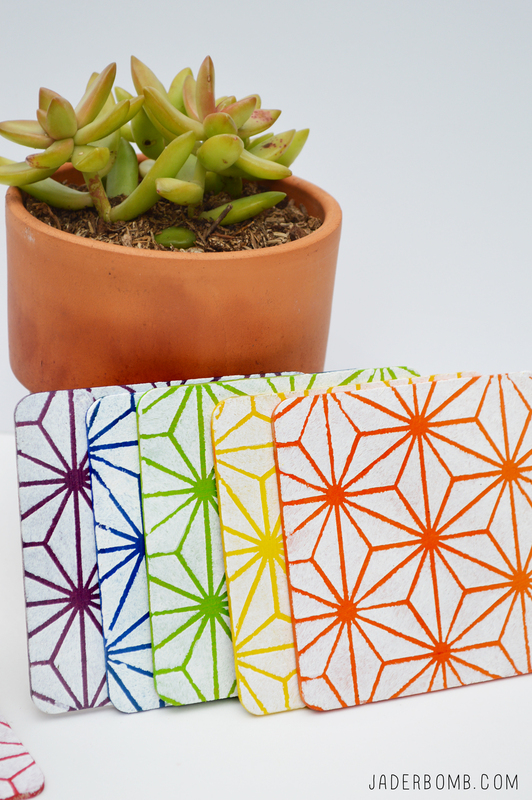 I am so excited to show you an exclusive sneak peek of the new Stencil1 collection. I am pretty much in love with the entire collection and I am positive you will too! 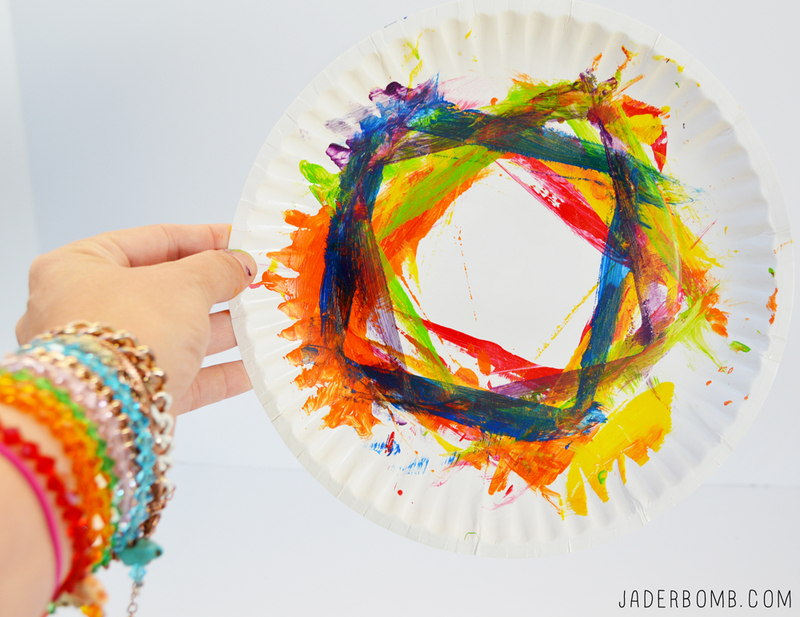 OH, and if you like rainbow things check out my rainbow crafts. 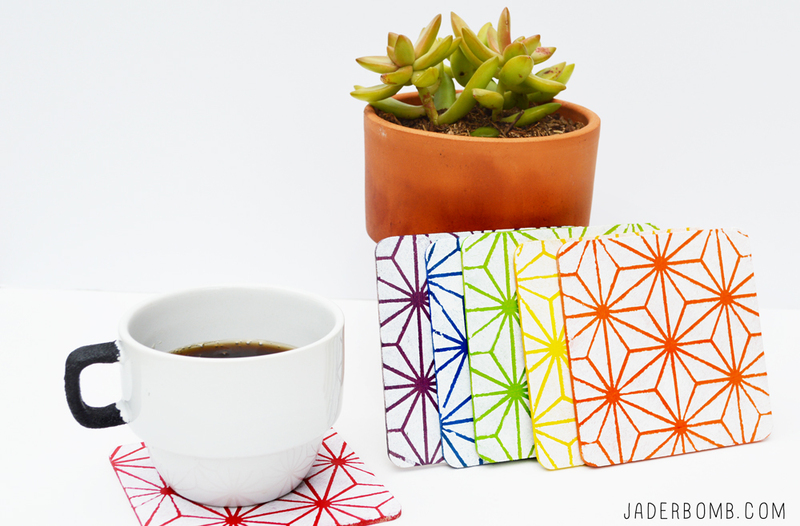 Today I will show you how to create your own stenciled coasters. 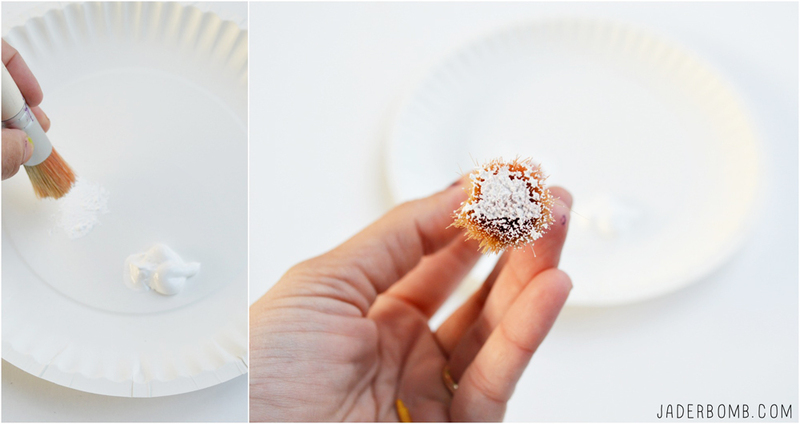 These are super easy and so affordable you can make them for everyone you know! 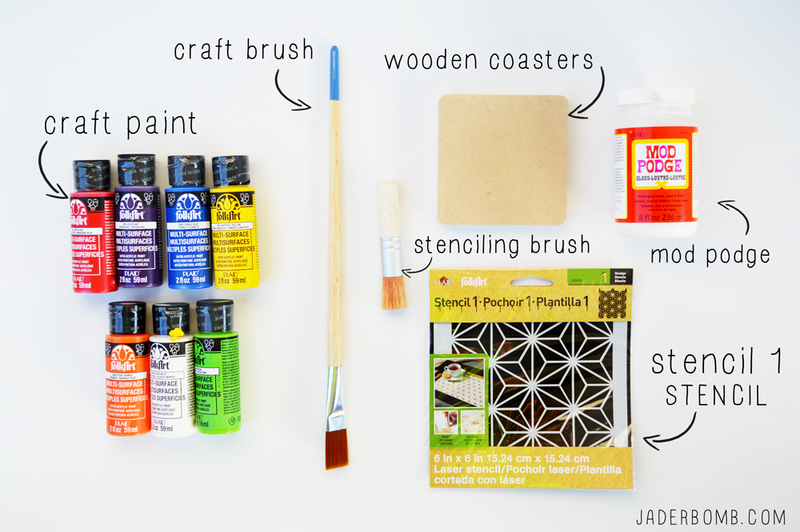 You can purchase all of these craft products from one spot by clicking on these affiliate links. 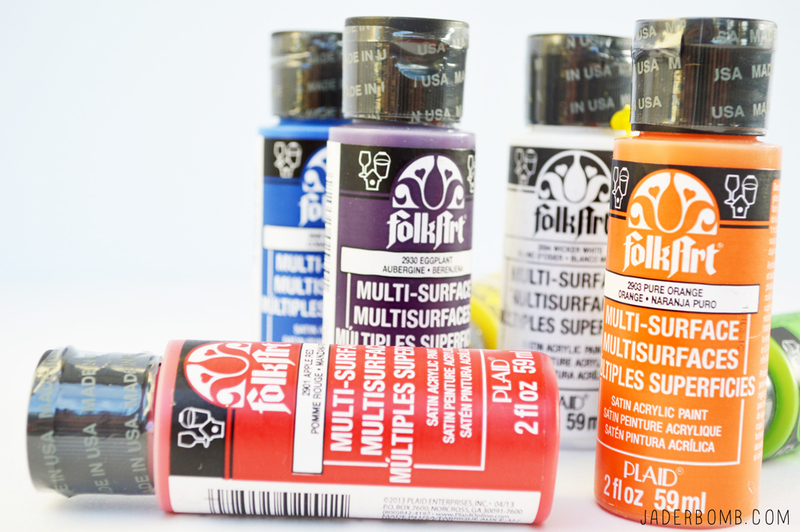 I absolutely love all of the colors I am using from FolkArt! The colors are SO bright and bold and beautiful! 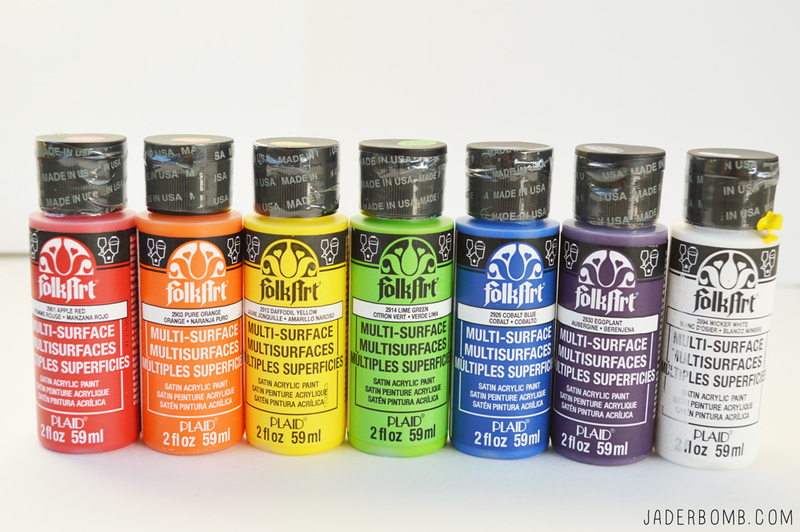 The great news is this paint can be used for many things. Glass, wood, plastic and pretty much anything else! 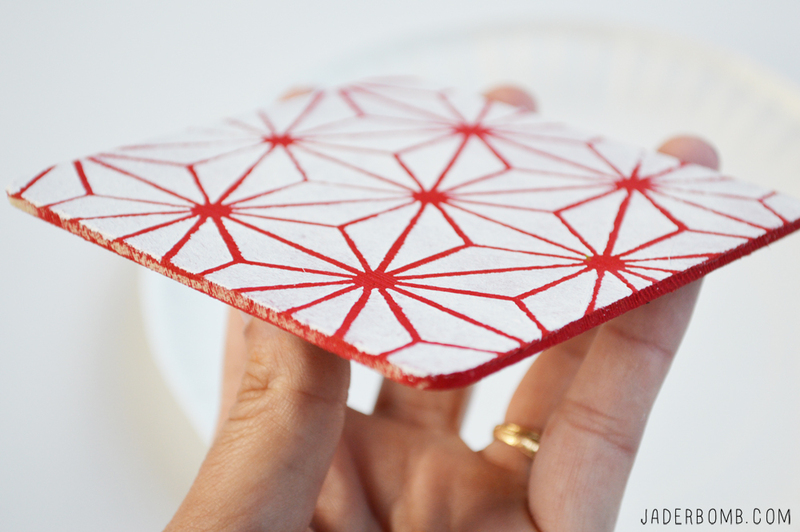 STEP ONE: The first thing you will do is place your wooden coaster on a clean surface. 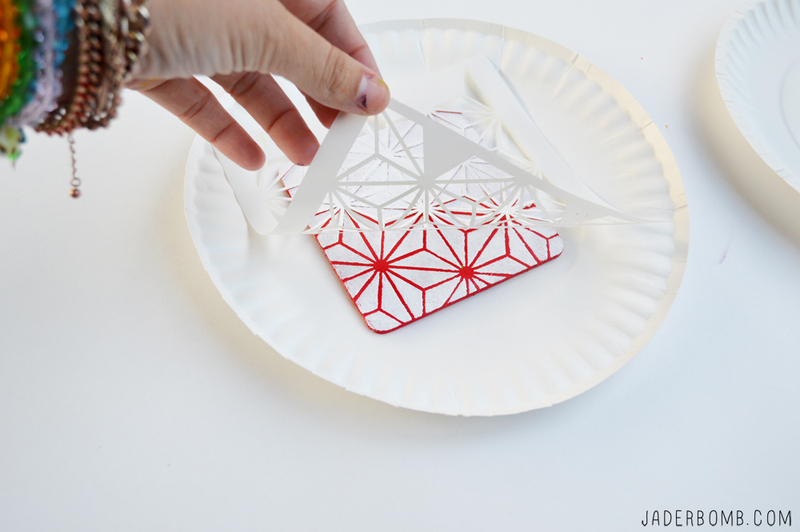 I like using paper plates for things like this. 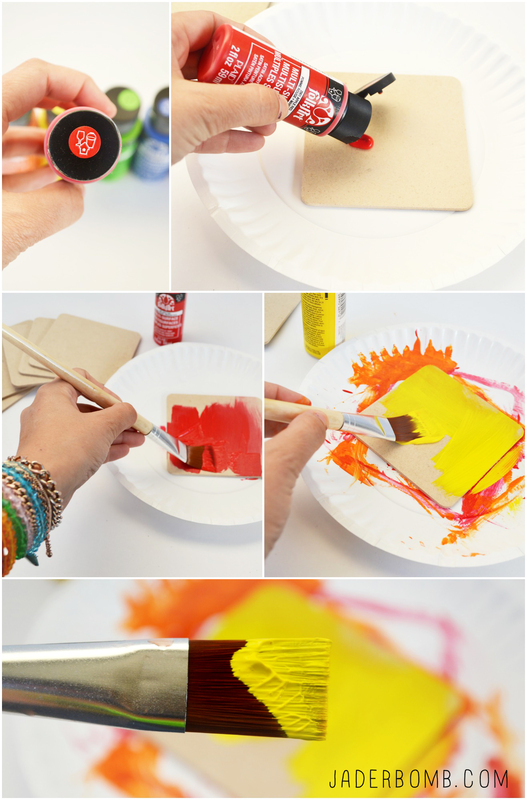 Squirt a little red paint on your wooden coaster and cover the entire coaster. When you are done with the first color move on to the next. Anything rainbow makes me super happy! 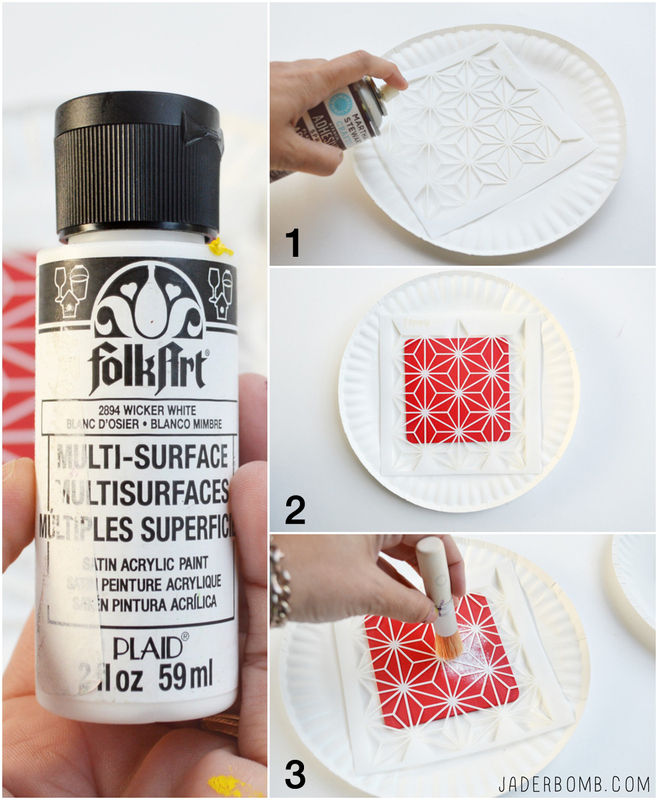 STEP TWO: One all of your coasters are dry squirt some white paint on a paper plate. 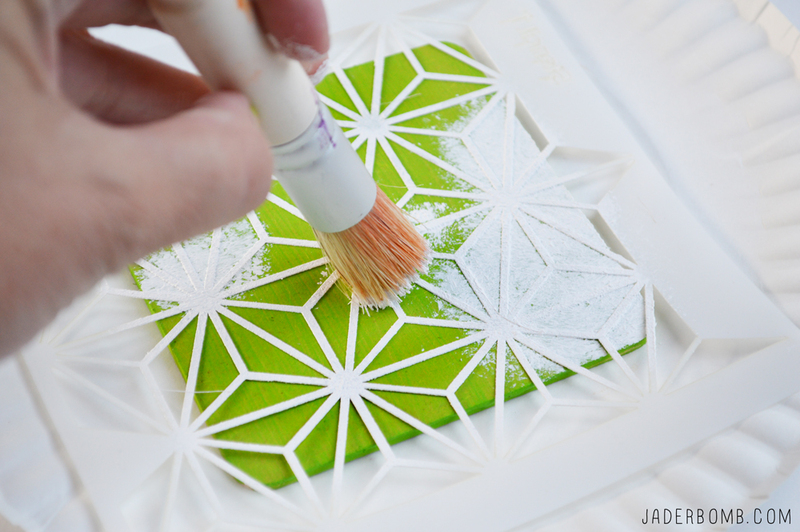 Grab your stenciling brush and put a little white paint on it. STEP THREE: I like to spray the back of my stencil with a spray adhesive to add a little stickiness to it. It will stick better to the wood but you do NOT have to use this. STEP FOUR: Gently start pouncing your wooden coaster with the brush. Make sure you do it in an up and down motion. STEP FIVE: When you are done immediately peel off the stencil. You won’t believe your eyes when you see it! STEP SIX: Move onto your next color. Are you in love with this! I like to recycle so I used the same plate for each color, yo! Don’t forget to touch up the sides when you are done. STEP SEVEN: I like to seal everything with Mod Podge. 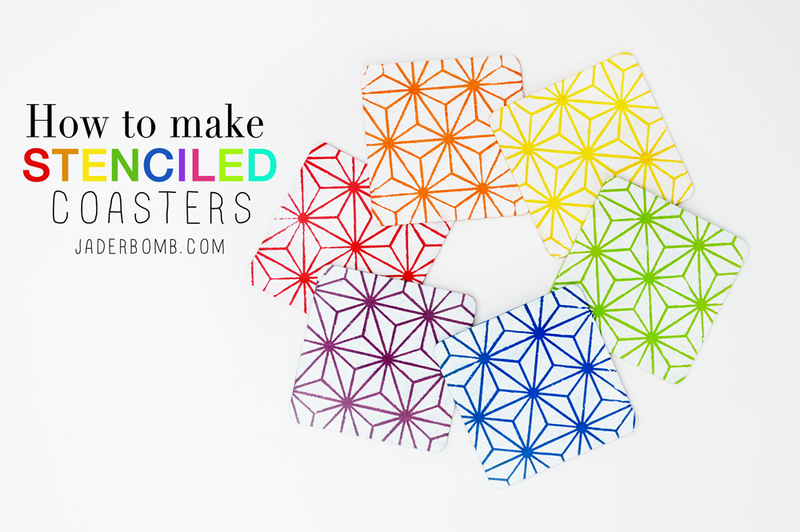 How beautiful are these coasters! I am so happy for my friend Ed and his creations! 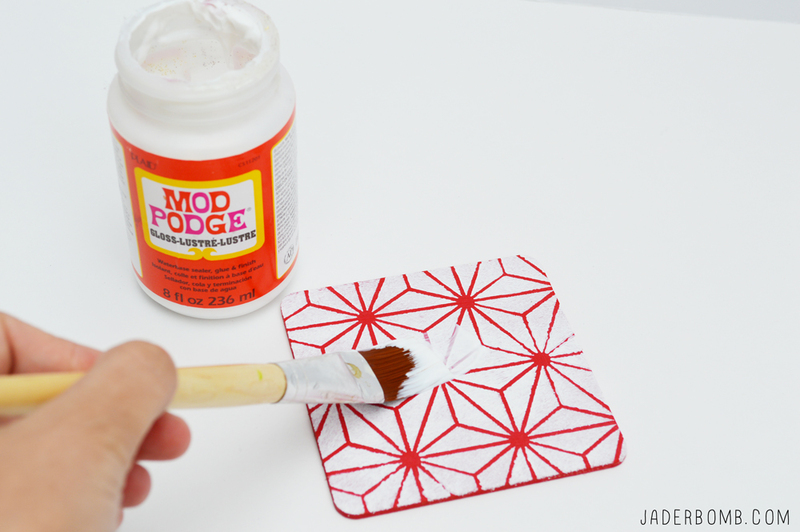 The great thing about these coasters is the pack was $1.00 and the paint is totally affordable also. The paint will last forever too! You can give these to someone as a gift or make them for yourself. 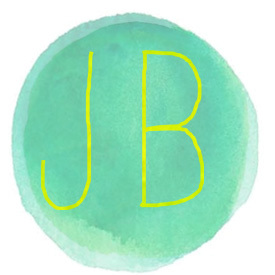 Photography: Jaderbomb// DIY tutorial by: Jaderbomb // Ceramic Cup: World Market // Font used: Mossy & Helvetica // Affiliate Links: Amazon I do get a percentage from the links you can order from so thanks!